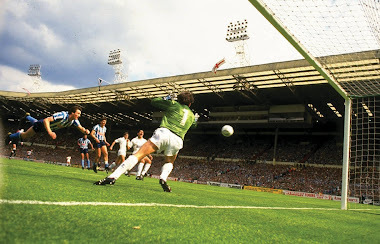 In a rare astute moment during his 15 months in charge at Highfield Road, Terry Butcher replaced a crowd favourite with a 21 year old whose three seasons in sky blue would prove simply outstanding. 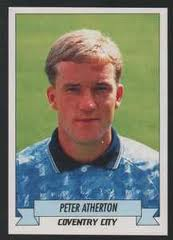 Having caught Butcher’s eye in the previous campaign’s FA Cup tie against Wigan Athletic, Peter Atherton signed for £330,000 and stepped up from the third tier like he had played in the top flight all of his career. 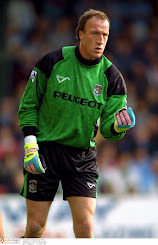 Upon Trevor Peake’s departure to Luton, Atherton partnered Andy Pearce and David Busst before his third and final season saw him team up with Phil Babb. They would form one of the best central defensive pairings in modern times before they went their separate ways within months of each other in 1994. 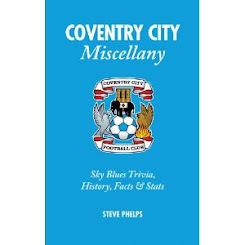 During his time at City the composed and quietly effective Lancastrian made 120 appearances without finding the net and took the Player of The Year award in 1992/93. 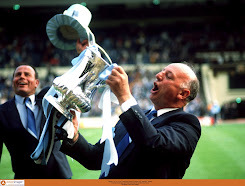 His final game in sky blue came at Old Trafford the day United lifted the Premiership trophy for the second time. 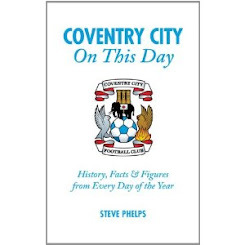 Atherton typically bowed out with a clean sheet as City finished 1993/94 in 11th position. 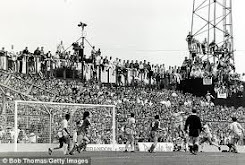 A key departure along with Babb, this weakened the side as Ron Atkinson subsequently arrived to ensure final day safety just 12 months later. After six seasons with Sheffield Wednesday he spent a further five with Bradford City including relegation along with us in 2001 before his career concluded at Halifax Town where he remains assistant manager to this day. With the backbone of Andy Thorn’s defence having gone their expected ways this summer, Richard Keogh and Martin Cranie will be a hard partnership to follow while Sammy Clingan, still without a club, is long gone in the memories of City supporters. With the arrival of the tall and promising Adam Barton and the goal glut through pre-season from John Fleck we have options and we didn’t say that very often last season. 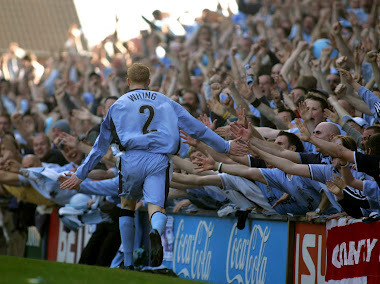 Stephen Elliott has pedigree while Kilbane's experience will be vital away from home against partisan crowds. The big glamour friendly is at Bristol Rovers this Saturday as we count down to Huish Park, home of Yeovil and the M5 traffic in eleven days time.